How to show or hide columns dynamically? In the button click event, you can show/hide the columns dynamically by using the showColumns/hideColumns methods of the Grid, respectively. The following is the argument of the show/hide columns method. ColumnName should be the field or the headerText of the column. 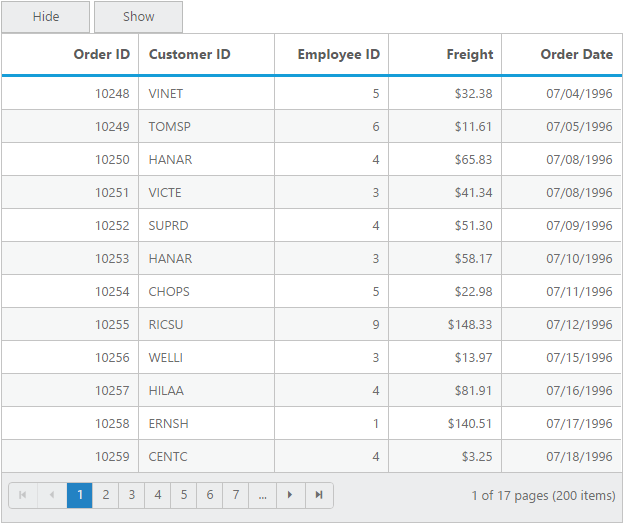 In the following code examples, the CustomerID column is shown or hidden in the Grid.